Confidence is knowing what you are good at, the value you provide and the presence of yourself that you bring to any conversation, meeting or groups that you are involved with. Confidence is important because without it people are unable to achieve the level of happiness and success they desire. So what is low confidence? Low confidence is when you see yourself in a negative self-critical way. It is when you regard yourself as being inadequate, unacceptable, unworthy and unlovable. These thoughts can go on to affect your behaviour and life choices. So what can you do to build your confidence? 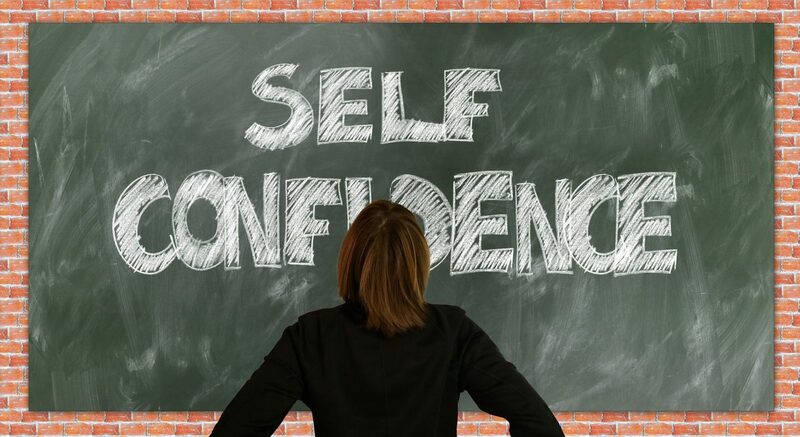 It is true that this can take months of therapy with a good counsellor who you bond well with and work hard at building your confidence but there are a few things you can do now to help increase your confidence. Can appear in our minds. The first stage is to recognise hearing these thoughts. Notice why you are saying them to yourself and for what reasons. How often do you say these thoughts to yourself and maybe what time of day do you have these thoughts. A good way of learning about the pattern of your thoughts is to keep a thoughts diary. Now you recognise your inner voice when it comes from a negative place you can challenge your thoughts. A simple way of doing this is by using the word ‘stop’. When you hear yourself saying a negative statement about yourself, say the word stop to yourself. Direct your thoughts and tell yourself that you deserve to be positive about yourself. I think that it is important to start the day on a positive note and be kind to yourself. Each morning when you wake up to choose a positive affirmation of your choosing and look into the mirror and repeat it 10 times. This will train your brain into thinking positively and will start your day on a brighter note. Do you slump? Or look downwards? Your body language can often reflect what you are feeling. Pulling your shoulders back and raising your head slighting can create an air of confidence not only when others are looking at you but for yourself also. Along you’re your posture, make sure you smile. Smiling will not only make you feel better but will also make others feel comfortable around you. Learn to celebrate your successes in life whether it is big or small and make it a big thing, even if it is just finishing the task of the day such as cutting the grass. Recognise that celebrating your achievements is not egotistical. It is an investment in you. Be yourself! Don’t try to impress by being someone else because by doing this you will never be happy with yourself. Be true to yourself and learn to be happy with you. This is the biggest gift you can give to yourself.